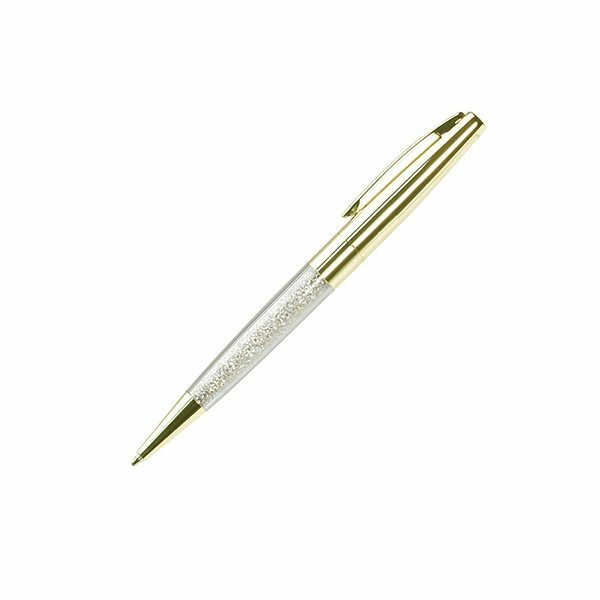 Twist-action ballpoint pen with barrel of crystals, goldtone cap, clip and points. they turned out great. They arrived right on time for the event and the service was very helpful! this was a great product that we are very happy with and have suggested to others.